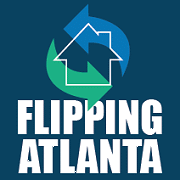 Atlanta REIA is very excited to partner up with Flipping America to bring you Flipping Atlanta, an ALL NEW educational and networking experience hosted by Roger Blankenship of Flipping America. Flipping Atlanta meets on the 1st Thursday of every month at 6:30PM at the 6317 Roswell Rd NE, Sandy Springs, GA (map). Atlanta REIA Members can attend for $5 and non-members for $10. Flipping Atlanta is about your needs… deal flow, funding, contractors, resources, challenges, information, technology, and application. Each month hear a presentation from an industry leader. Occasionally the presentation is recorded for inclusion on the broadcast and attendees become part of the the live studio audience. Hey Fix and Flip Buyers, do you have enough deals coming in? Have you ever considered remote flipping? Wholesalers – are you finding enough deals, meeting enough buyers? Realtors, would you like a steady supply of repeat business? There’s something here for everyone in the real estate business. Lenders, contractors, wholesalers, trainers, vendors and others are present with a wide range of products and services. Light refreshments are served at the meeting. Atlanta REIA Members and guests, remember to bring your membership card, business cards, wholesale deals and flyers! Flipping Atlanta is the local networking chapter for Flipping America, a nationally syndicated radio show about real estate investing. The show originates in Atlanta, Georgia and the program host, Roger Blankenship is often on-hand to lead the group.